Rafael Cayuela is a director and Corporate Economist at The Dow Chemical Company. In this position, he is member of the global Dow Corporate Strategy Team, helping to translate the various short term macro-economic and medium term disruptive industry mega trends into Dow corporate strategy. Rafael works closely with key internal and external stakeholders; especially regulators, governments, think tanks, consultants and international organizations. Rafael actively engages with global chemical associations, like the European Chemical Association (CEFIC) or the American Chemical Council (ACC), as well as with international organizations like the International Monetary Fund (IMF), World Bank, G20, OECD, European Commission, International Energy Agency, World Energy Council and others. In this capacity Rafael is currently Chairing and Leading the CEFIC’s Mid Century Strategy Project, project intended to foresight the future strategy of the European Chemical Industry, re- defining CEFIC and our industry’s stakeholder engagement and long term vision. Rafael is an economist by education and has more than fifteen years of experience within the chemical industry. 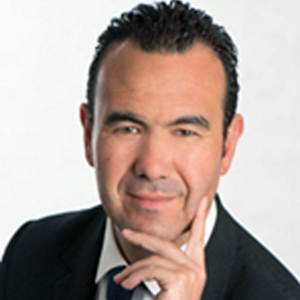 During his career in the chemical industry, Rafael has hold several regional and global business and management positions; from Plastics, Six Sigma, Rubber, Supply Chain, Feedstock and now since Sep 2014 as member of the Corporate Strategy team. Cayuela started his career for Dow Chemical in Madrid, Spain, while moving early in his career into the Dow global headquarters in Midland, Michigan from 2004 to 2007. Currently is based at Dow European headquarters in Horgen, Switzerland since 2007. Cayuela holds a Master degree in European Economics from the College of Europe, Bruges, Belgium, an MBA from Northwood University in Midland Michigan and an Executive education from University of Chicago and Oxford University. Cayuela is also the author of the book “The Future of the Chemical Industry by 2050”, published by WILEY in May 2013 and he is active international speaker about the Economy, the Chemical Industry, Bio-economy, Sustainability and Digitalization as a major business opportunities for the long term outlook of the Industry.